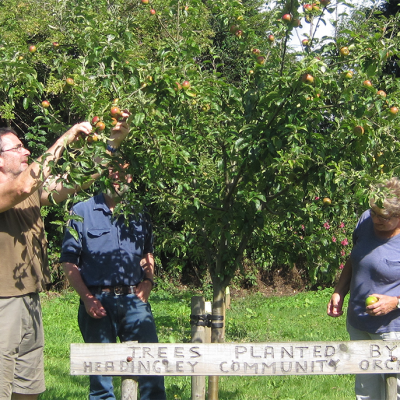 Headingley Community Orchard – Come and join in with our fruitful fun! That’s not all we like, though. 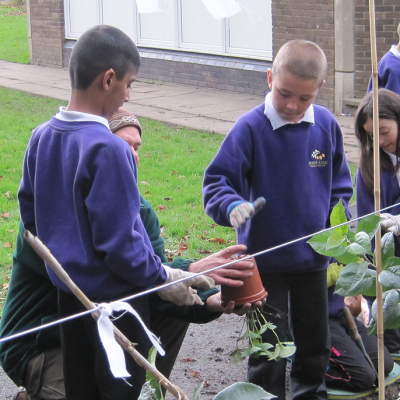 We want to improve the environment, increase biodiversity, contribute to a low-carbon economy, encourage healthy eating, create a resource for learning and eventually use locally grown fruit productively – and all by planting a few fruit trees and bushes! 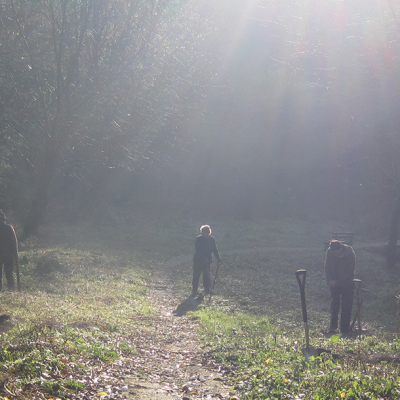 We are people who live in or around Headingley in Leeds, who came together in Spring 2012 to create small community orchards in the area. The group is informal and anyone interested in supporting the orchard initiative with time, enthusiasm, expertise or money can get involved. The initiative is supported by Headingley Development Trust. In practical terms, we identify under-used bits of land, plant fruit trees and bushes, and do lots of of digging, weeding and pruning. We have monthly working groups, often on a Sunday morning from 10 to 12. 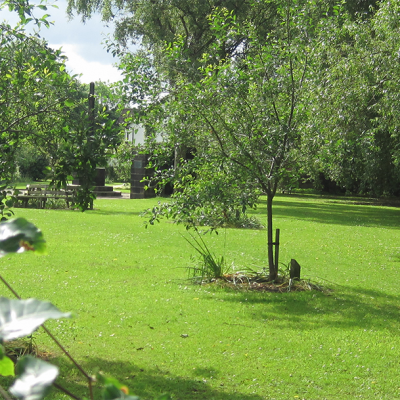 There is a mini site behind the Natural Food Store but the main ones are near St Chad’s (behind the Parish Centre and in the field around the War Memorial), at Shire Oak Primary School, and on Woodhouse Ridge. You can support us by donating money and or joining in the practical work of looking after the trees. We also need help with Apple Day, held in October every year. We’d be delighted if you wanted to join in.